Joy has a legendary status at Jandakot. Everybody who I’ve spoken to about learning aerobatics all recommend learning from Joy. So that is exactly what is happening. Having passed the Private Pilots License test a week earlier, the present to self was to start learning how to fly aerobatics. The first lesson was awesome! We got a hurry on, given it was quite late in the arvo. We’d have an hour before Jandakot tower closed and the chance to do some circuits was running out quickly. The objective of today was more about getting my type rating in the Robin 2160 (aka. Alpha 160). That involved doing some turns, stalls, a practice forced landing and circuits. While out in the training area, Joy also demo’d some aeros. The Robin was fun to fly, although not exactly an Extra 300. With the Robin, you have to work pretty hard on the aero’s and really manage the aircraft energy. This is the first low wing aircraft I’ve flown, so there are a few differences. Apart from the great visibility, the aircraft isn’t quite as forgiving as a Cessna. It does have a huge tail, so kicking the plane about in the cross wind was pretty easy. On returning to Jandakot, I did some circuits to get familiar with this aircraft. The landings weren’t too bad and I was given the clear to fly it solo. Although it will be several months before I can take passengers up for aero flights, it will still be fun to take them up in this aircraft due to the visibility. As we go, the plan is to build them into a sequence for final endorsement. Ye ha! This entry was posted in Aerobatics, Robin 2160. Bookmark the permalink. I have been reading your blogs and looking at your videos. They are fantastic. 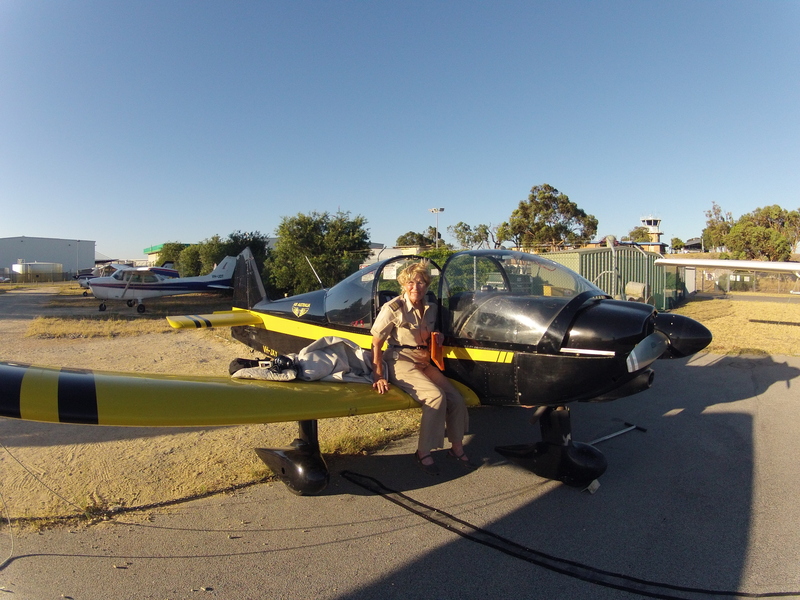 I have done 15 hours at Racwa and am looking forward to my first solo in a couple of weeks.